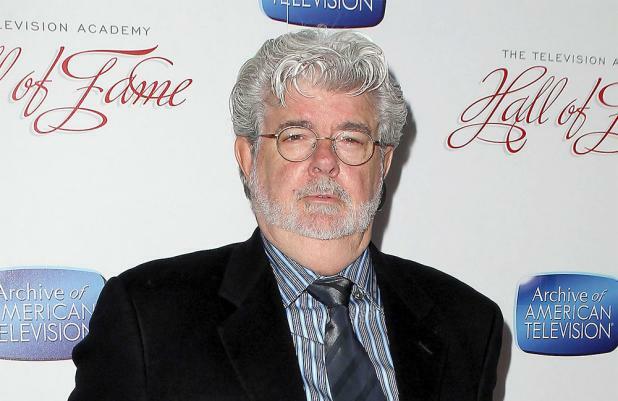 George Lucas is in constant contact with J.J. Abrams about 'Star Wars Episode VII'. The legendary filmmaker's son Jett Lucas claims his father is heavily involved in the production of the new space film and is regularly in contact with the director about its direction. Lucas sold the rights to his multi-billion dollar grossing 'Star Wars' franchise and his Lucasfilm company to Disney in a $4 billion deal last year. Jett told Flicks and the City: "He's constantly talking to J.J. Obviously J.J. was handpicked. He is there to guide whenever. He'll help where he can. At the same time, he wants to let it go and become its new generation." Meanwhile, Jett also revealed that his father began penning a script for a seventh 'Star Wars' film a year prior to selling the rights to Disney last October. He gushed about the script, saying: "I already know what happens. I'm happy with what's going to happen." Disney has announced it will release a brand new 'Star Wars' trilogy, starting with 'Episode VII' in 2015, followed by 'Episode VIII' in 2017 and 'Episode IX' in 2019. The franchise will also include two spin-off movies in 2016 and 2018.